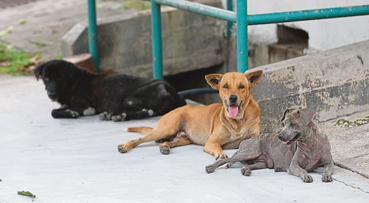 The Health Ministry will continue to monitor the rabies situation in the country to ensure there will be no repeat of the outbreak similar to 2017. Health Minister Datuk Seri Dr Dzulkefly Ahmad said the disease was described as an epidemic in Sarawak back in June 2017, and it continues to plague the state today. "Continuous monitoring will be done here and the ministry is working closely with the Veterinary Department over the matter. "Rabies happens when an individual is bitten by a stray dog and when someone is bitten, then there is a high risk of the individual to be infected....we need to continue monitoring until there are no new cases reported in the area," he told reporters after visiting the Sungai Koyan health clinic, here, today. On Jan 18, an 80-year-old woman from Kampung Sungai Du’uh, Serian, died at the Sarawak General Hospital after she was infected with rabies. The victim had fever, cough, vomiting, lethargy, body aches on Jan 11 and sought treatment at a private clinic on the same day before she was warded at the hospital three days later. Meanwhile, speaking on the Cameron Highlands by-election, Dr Dzulkefly, who is also Parti Amanah Negara's (Amanah) strategic director, said Pakatan Harapan's (PH) candidate M. Manogaran had a bright chance to win the seat despite facing tough challenge. "We have to remain optimistic and nothing is impossible (for us to win). We are working hard during the campaign and will continue to work hard until polling day. Amanah's election machinery is doing its best...we are prepared to accept any outcome," he said.